Kyra Hagan is the Senior Vice President & General Manager of Marketing & Communications at Influence Health and an expert in healthcare consumer experience. A twenty-year veteran of healthcare IT, she is passionate about leveraging technology to build bridges between consumers’ expectations and healthcare’s realities. That passion spills over into building differentiated B2B tech brands, developing innovative products and services, and crafting winning go-to-market strategies. Kyra is a member of both the Society of Healthcare Strategy and Market Development and the American Marketing Association and is Hubspot Certified in both Inbound Sales and Marketing. Kyra writes, blogs, and frequently speaks about healthcare consumerism and martech. 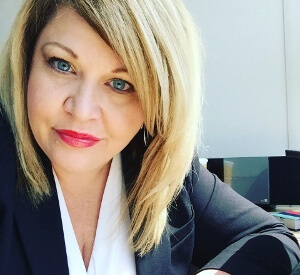 Her work has been featured in numerous publications including HIT Outcomes, Becker’s Hospital Review, Martech Advisor, Digital Marketing Radio, and Healthcare NOW Radio. Her Twitter handle is: @HIT_MKTG_Maven.